In the spirit of GMTA… Great Minds Think Alike… I offer you the following. The essay is provided by First Things. Ever since I first read the Letters of Saint Ignatius of Antioch in the 1950s, one passage from his Letter to the Ephesians has particularly affected me: “It is better to keep silence and be [a Christian] than to talk and not to be. Teaching is an excellent thing, provided the speaker practices what he teaches. Now, there is one Teacher who spoke and it came to pass. And even what He did silently is worthy of the Father. He who has truly made the words of Jesus his own is able also to hear His silence, so that he may be perfect: so that he may act through his speech and be known through his silence” (15, 1f.). What does that mean: to hear Jesus’s silence and to know him through his silence? We know from the Gospels that Jesus frequently spent nights alone “on the mountain” in prayer, in conversation with his Father. We know that his speech, his word, comes from silence and could mature only there. So it stands to reason that his word can be correctly understood only if we, too, enter into his silence, if we learn to hear it from his silence. Certainly, in order to interpret Jesus’s words, historical knowledge is necessary, which teaches us to understand the time and the language at that time. But that alone is not enough if we are really to comprehend the Lord’s message in depth. Anyone today who reads the ever-thicker commentaries on the Gospels remains disappointed in the end. He learns a lot that is useful about those days and a lot of hypotheses that ultimately contribute nothing at all to an understanding of the text. [For more on his thought see his introduction to his Jesus of Nazareth, Vol 1. US HERE – UK HERE] In the end you feel that in all the excess of words, something essential is lacking: entrance into Jesus’s silence, from which his word is born. If we cannot enter into this silence, we will always hear the word only on its surface and thus not really understand it. Benedict XVI writes from Vatican City. There is a great deal to say about this essay. First, it is of great interest that Benedict XVI should write this and should speak so clearly about Card. Sarah’s role as Prefect of the Congregation for Divine Worship. This is a manifest endorsement. Moreover, Benedict stresses the role of silence, which strikes me also as a deft warning about those who… well… don’t. That could include members of the Curia who are set against Card. Sarah and, indeed, are working to clear the Curia and other institutions of the influence of Pope Benedict. We should pray for Benedict. He gave the Church a tremendous gift with both Summorum Pontificum and with his long-time reflection on the benefits of ad orientem worship. I am grateful that Benedict as remained engaged. Our liturgical worship is our starting point and our goal. No initiative which we enter into as a Church will succeed and bear fruit unless first we have a revitalization of our sacred liturgical worship. Our Catholic identity depends on it. How important is the role of silence in our revitalization? This entry was posted in Benedict XVI, Liturgy Science Theatre 3000, Patristiblogging and tagged Benedict XVI, Robert Card. Sarah, St. Ignatius of Antioch. Bookmark the permalink. 9 Responses to Benedict XVI SPEAKS: “With Cardinal Sarah, a master of silence and of interior prayer, the liturgy is in good hands. May both of these holy men continue to speak loud and clear! We can only pray that it will cause changes leading to more reverence. I miss reverence so, so much. How sad it makes me when one priest goes around shaking hands with all the EMHCs after they come to the altar, even when we’re past the Agnus Dei/Lamb of God. The vertical is destroyed in favor of the horizontal. I believe that if the Holy Father has been breaking his silence here and there recently, it’s because he doesn’t feel the Church is otherwise in good hands. We miss you so much dear Pope Benedict, and may the Lord have mercy on His Church and protect her in the current crisis. This is very interesting, and encouraging (given some of the recent criticism of Sarah’s recent comments and his book). Oh, how I miss Benedict. John Paul II was an important factor in my decision to become Catholic, and I was thrilled when Benedict succeded him. May he continue to be bene dictus for many years yet. I can’t not think that this is Benedict’s way of signaling his preferred candidate in the next conclave. It is indeed a breath of fresh air to have the Pope Emeritus speak out in support of Card. Sarah and his message on silence…..notice the contrast to Francis’ message of “hagan lio” (make noise)….ha! My first thought when reading this was that this doesn’t read like Pope Benedict’s other writings. It just doesn’t sound like him. Maybe I’m way off base, or falling head over heels into conspiracy theories, but although the content is great, it just doesn’t have the feel of something written by Benedict. Does anyone else feel this way, or is it just me? 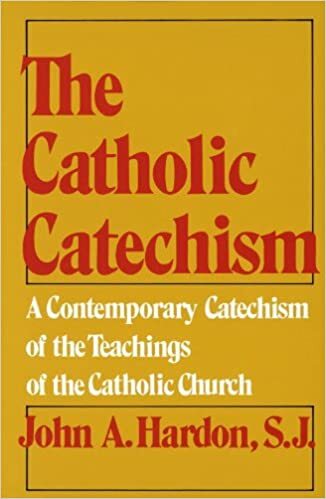 I personally pre-ordered and have begun reading Cardinal Sarah’s book. I can agree with earlier comments that the book is a great spiritual work that in this age and culture of constant noise. A truly great meditation on going to the mountain or desert and listening to God.